Maybe it’s a bit too early to talk about Christmas, but there’s never a wrong time to talk about Harry Potter. 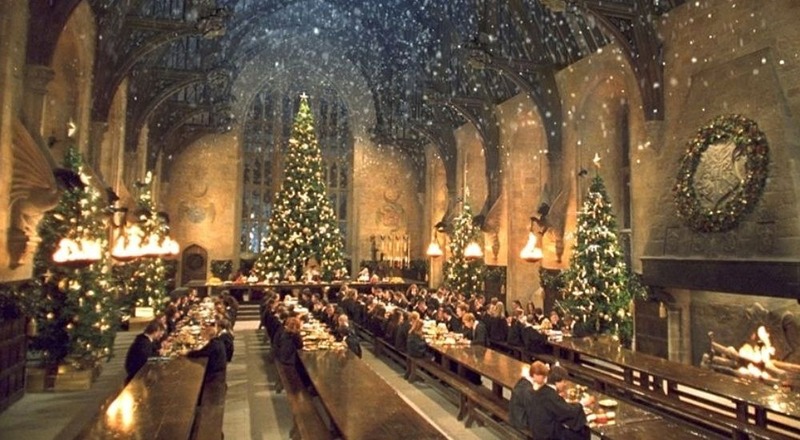 For another year, us muggles are invited to feast in the Great Hall at Hogwarts. It’s a chance to become an honorary wizard for the evening as you enjoy a spellbinding two-course meal, plenty of drinks and canapés, as well as lots of Butterbeer-fuelled music and dancing. The Hall will undergo a magical Christmassy transformation: featuring some of the very same decorations used for the Yule Ball in the Goblet of Fire movie. Guests will be served dessert on Platform 9¾, beside the original Hogwarts Express train, before having the opportunity to explore the Studio after hours. Look out for the handmade Christmas cards in the Gryffindor Common Room – they were created by actual cast members during filming! Tickets go on sale on September 25 at 10am from the Warner Bros. Studio Tour website. But you’d better be quick! They tend to go faster than the golden snitch (and they are certainly harder to catch). See more in our guide to London for Harry Potter fans.